Hotel EMC2 shows us that science can be yummy! Join in on the fun at Hotel EMC2 on March 14th, the art and science inspired hotel will be celebrating both Albert Einstein’s Birthday and Pi Day with a charitable event and science-inspired incentives throughout the day. Keeping with the pie theme on Pi Day, the hotel’s contemporary restaurant, the Albert, will be offering a selection of hand pies, courtesy of highly acclaimed Executive Pastry Chef Vanarin Kuch, for $3.14. Both guests of the hotel and hotel employees are also invited to participate in a “Pie in the Face” event benefiting Project SYNCERE on the patio of the property. In homage to the restaurant’s namesake, the Albert will be serving up The Famous Vegetarian cocktail featuring CH Aquavit, carrot, orange, ginger, and coconut, as well as an Einstein Birthday Cake with vanilla cake, vanilla frosting, and sprinkles. Additionally, those who guess “What Did Einstein Never Wear” correctly when asked by a Front Office Agent at the property will receive a 10% off voucher at the Albert. The “Pie in the Face” event will take place on March 14 from 2pm to 4pm. Those looking to participate can purchase a $5 pie for a ten foot throw or a $10 pie for a five foot throw. These pies will be thrown at the Hotel EMC2 management team and all proceeds from the event will benefit Project SYNCERE, an educational, Chicago-based non-profit that combines art and science to create transformational experiences for youth within underserved Chicago communities. Jason Coleman, Co-Founder and Executive Director of Project SYNCERE, and members from the philanthropic organization will be present at the event. 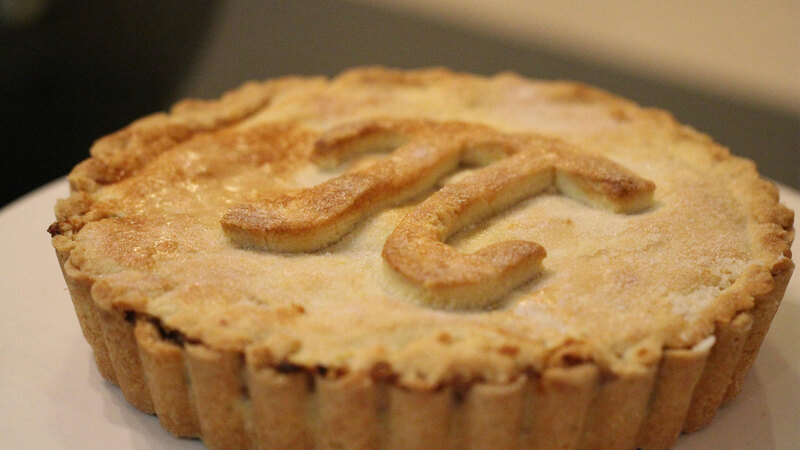 Hotel EMC2 is located at 228 E. Ontario Street in Chicago, so head there on March 14th for your serving of pi(e)! What a delicious way to celebrate Pi Day in Chicago!